Download the Topcon press kit for the Bentley Year in Infrastructure Conference 2018. See Download Press Kit button below. Topcon Positioning Group announces the next generation of its single-environment software for processing, combining, visualizing, and performing analysis of point cloud datasets — MAGNET Collage version 2. On 16-18th October, Frankfurt will host Intergeo 2018. Known as the centre of the German logistics and mobility industries; as well as being home to one of Europe’s largest airports; Germany’s busiest train station; and well-developed motorway network, Frankfurt’s infrastructure has developed and expanded significantly over time. The ever developing city provides the perfect backdrop to explore the future strategies for handling the demand of maintaining and creating new infrastructure. 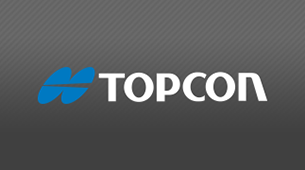 Topcon Agriculture and Kansas State University today announced a comprehensive partnership. Topcon Agriculture and Raven Industries, both leaders in the precision agriculture market, announced today a licensing agreement for use of the Slingshot Application Programming Interface (API) in the various Topcon Agriculture software platforms. Topcon Positioning Group announces the complete acquisition of ThunderBuild BV Group, expanding the portfolio of Topcon paving solutions.